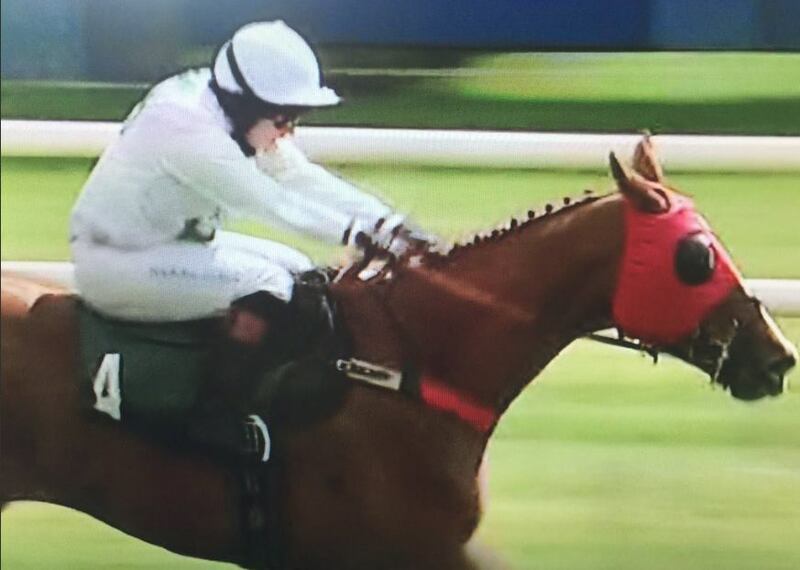 Many congratulations to Tommie O’Brien who won the bumper today in Galway on POORMANS HILL for John Neilan. 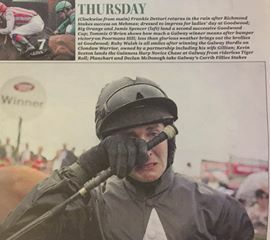 John was overcome with emotion after his great achievement and trended on social media when caught on camera wiping away his tears. Well done John on an unforgettable success. 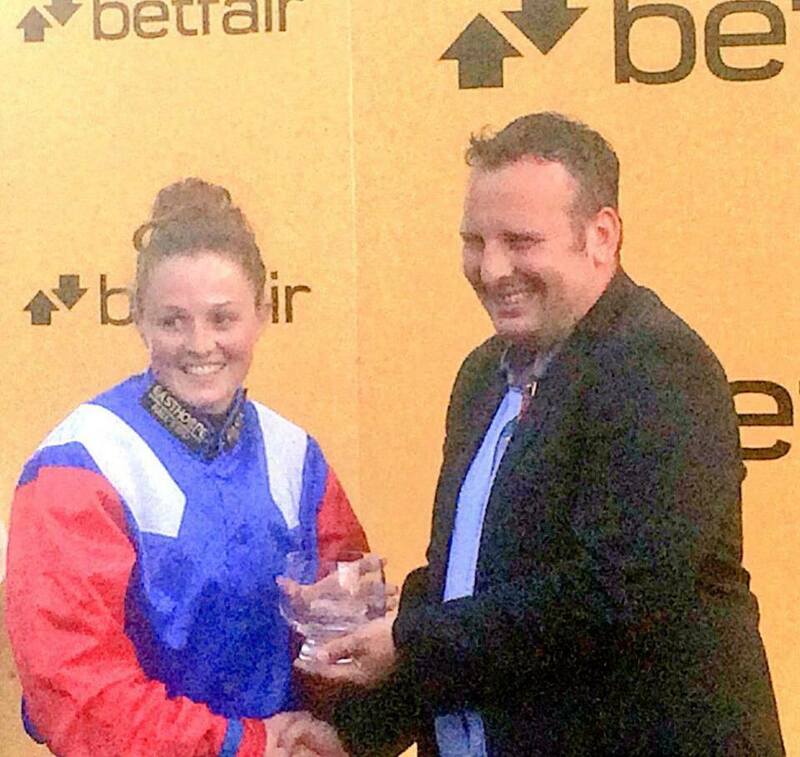 Many congratulations to Emily Easterby who has grasped the opportunity given by the Betfair Novice Amateur Riders Series this season and set an unprecedented record with 100% success so far in all 3 races! Redcar was the scene of the 3rd of the 8 races that this season offers. 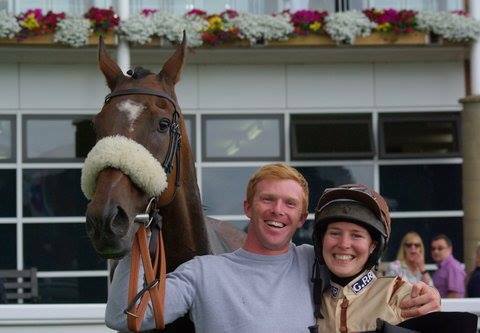 Riding course specialist BROCTUNE PAPA GIO for Keith Reveley, with 6 of his 8 careers wins have been at Redcar, Emily was happy to bide her time in mid-division until about 2 furlongs from home. 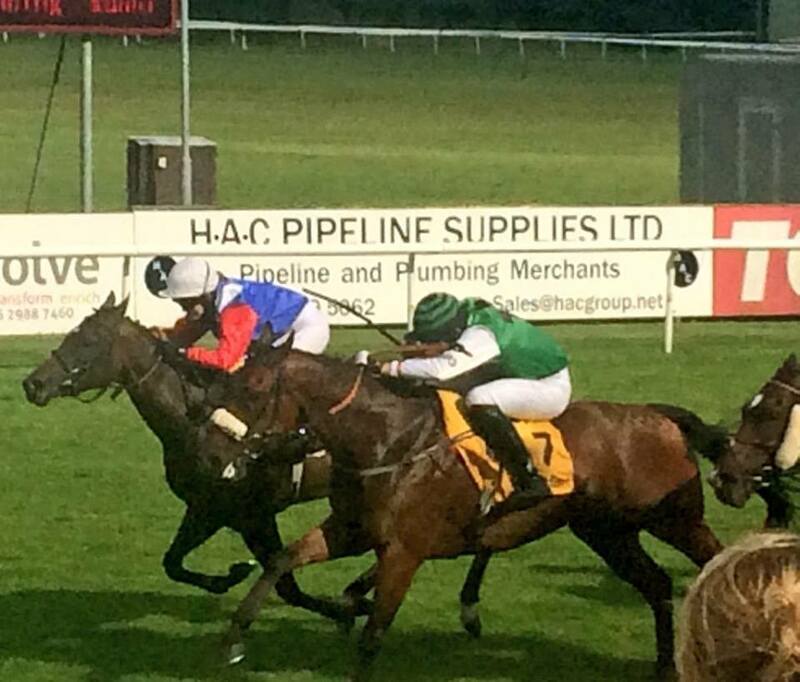 The partnership then made their move, with leader CELTIC ARTISAN and Fionn McSharry in their sights and Emily was able to drive her horse out to go on and score by 2 1/4 lengths, with Fionn 2nd and Gary Beaumont 2 1/2 length back in 3rd. Huge congratulations to Emily on such a great start to her career. She only has another 5 races in this Betfair series to go to see if she can keep her 100% record – and clearly anything is possible! 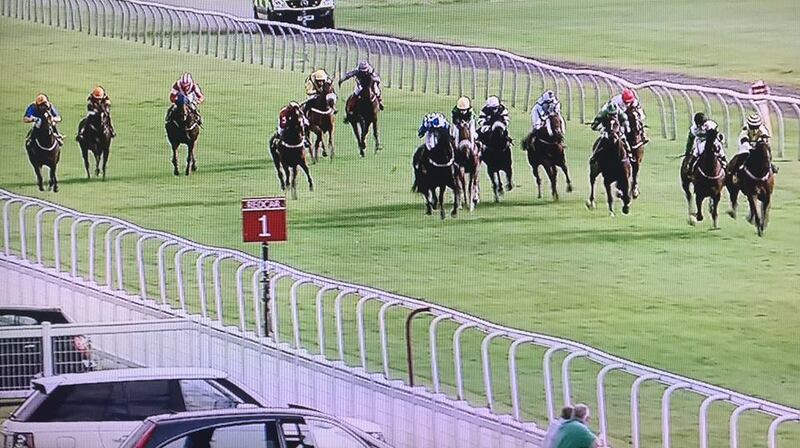 The series now moves on to Royal Windsor on Monday 7th August. 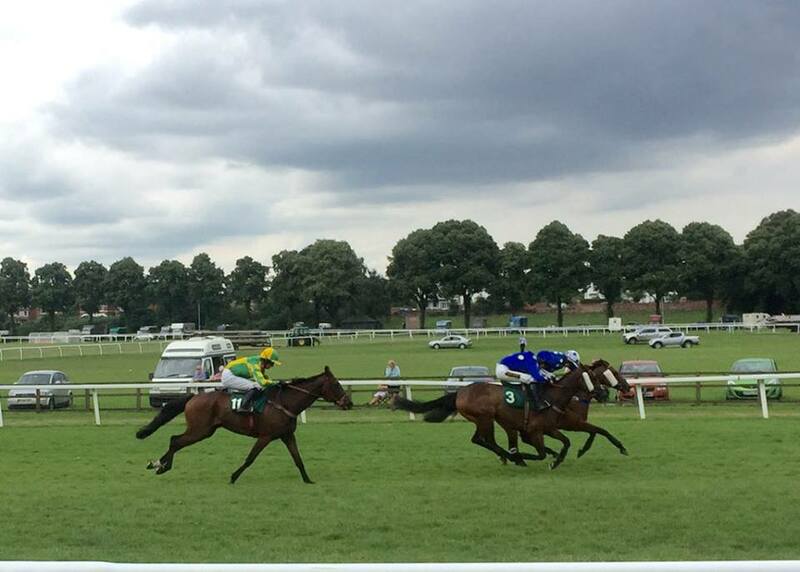 Beverley’s Lady Jane Bethell Memorial yesterday saw 10 runners and riders go to post, with granddaughter Serena Brotherton partnering favourite SAN CASIANNO looking for a repeat of their impressive victory here a fortnight earlier but with 4 lbs more to carry. Always prominent behind LEON ON PETE and Catherine Walton who led until the final furlong, they were unable to quicken when under pressure. 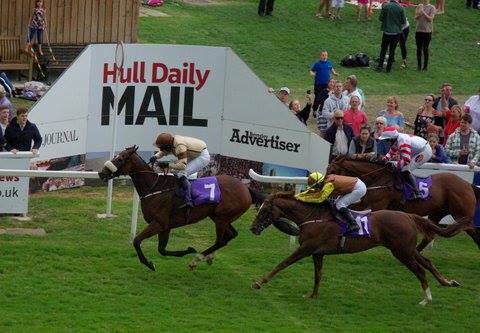 Meanwhile Emma Todd had held up Karen Tutty’s I’M SUPER TOO early on to chase the leaders in the final furlong alongside Emily Bullock and Richard Fahey’s RUBIS, with Emma getting up by 3/4 of a length as they flashed past the post. 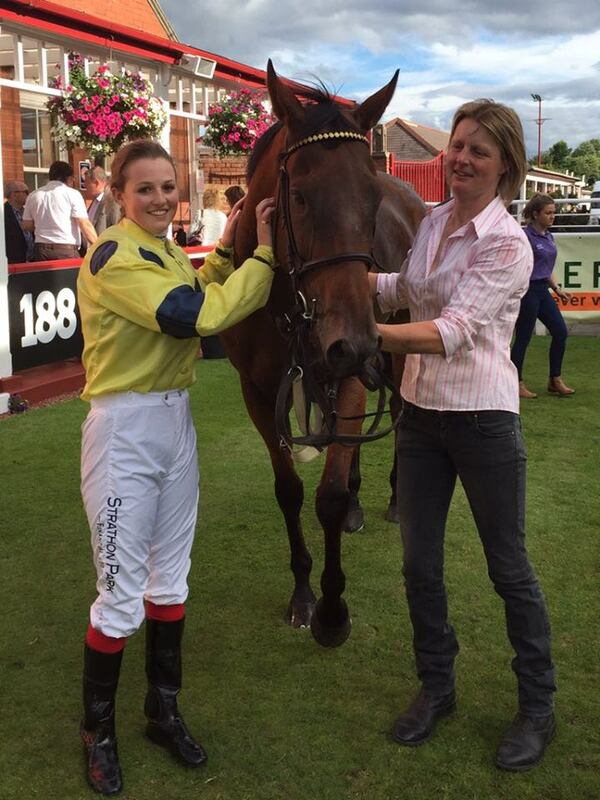 2nd was Emily Bullock, with Catherine Walton 3/4 length back in 3rd and Serena Brotherton 1 1/2 lengths 4th. 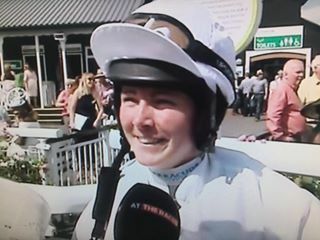 Many congratulations to all connections and of course to Emma who is on fire, having gone into the lead for the Ladies NH Championship only 2 days earlier with her win at Uttoxeter aboard BIG SOUND for Mark Walford when taking on professionals over fences. 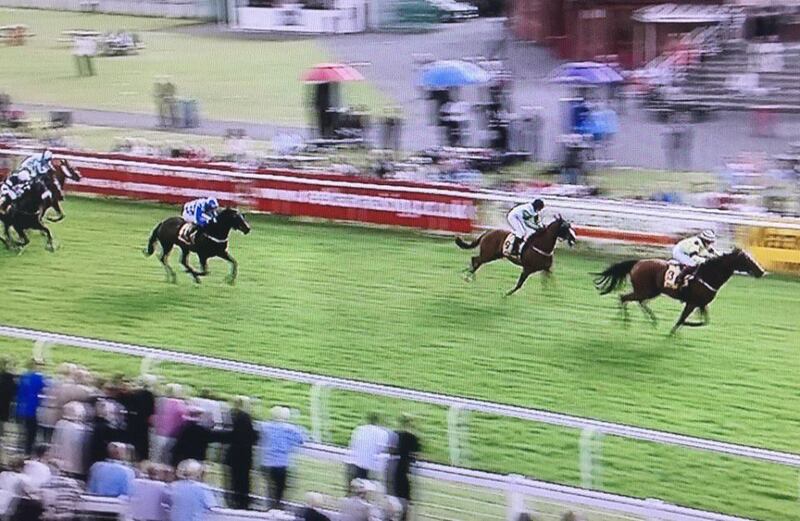 This took her season’s tally over jumps to 4 on Sunday and her win at Beverley was her 1st career win on the Flat! 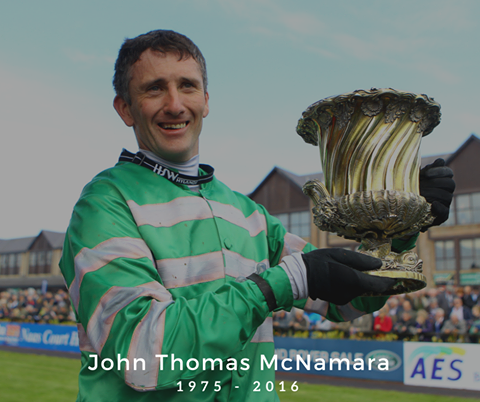 Ireland’s racing community are mourning the loss of their legendary and much loved amateur jockey JT McNamara who suffered a career ending fall at Cheltenham Festival in 2013 which immobilised him from the neck down. He was aged 41. JT was widely regarded as one of the best amateur jockeys that racing has ever known as well as one of the most popular. 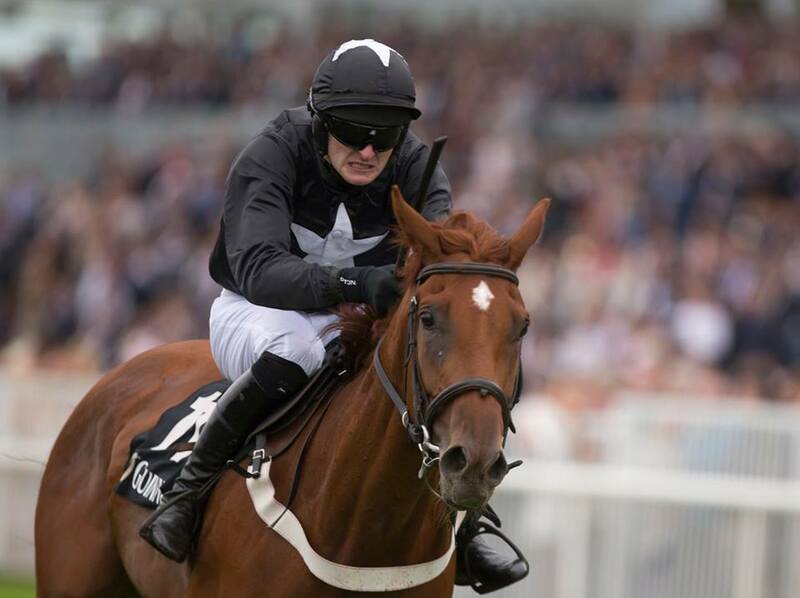 His achievements in the saddle included 602 point-to-points as well as Cheltenham Festival’s National Hunt Chase in 2002 (Rith Dubh) and 2012 (Teaforthree), the Glenfarclas Cross Country Chase in 2005 (SpotTheDifference) and 2007’s Foxhunters (Drumbeag). Our deepest condolences are extended to his wife Caroline and their three children Dylan, Harry and Olivia together with the rest of his family. May he Rest In Peace. Fifteen minutes after the excitement of the Ladies Longines at Ascot, it was the turn of our gentlemen riders to enjoy a slice of the action at Salisbury with the running of the historic Carnarvon Cup run over 1 mile. A field of 7 went to post but the subsequent withdrawal of Pat Millman’s ride RAJADAMRI from unruliness in the stalls saw the field depleted to 6 starters. 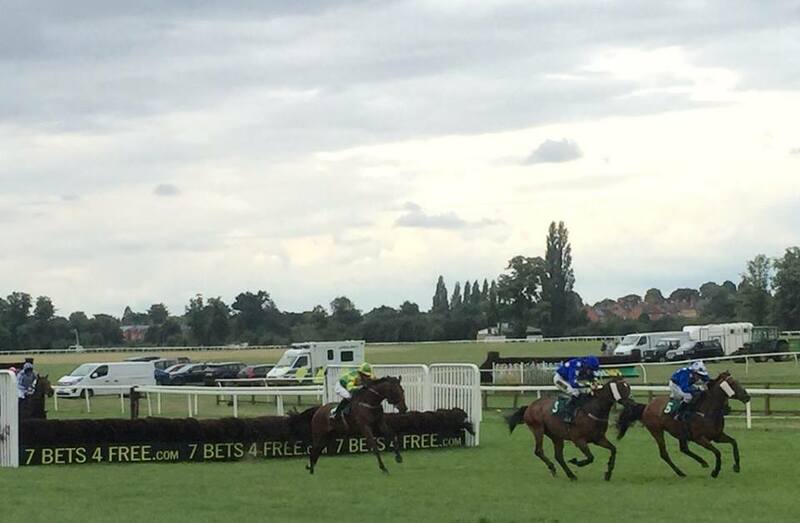 Multi-talented multiple champion Simon Walker was on the only 3 year old in the race, George Scott’s IMPERIAL STATE. 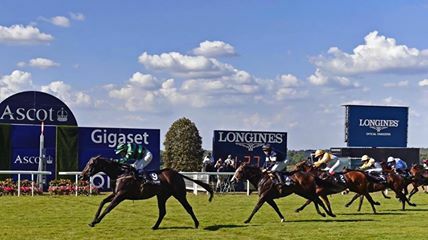 Although untidy leaving the stalls, the partnership made smooth headway after being held up to lead over a furlong from home and stay on to draw clear and win by 4 1/2 lengths from Ross Birkett aboard George Baker’s GEORGE BAKER with James Perrett 3rd on Richard Hughes’s WORDISMYBOND. Many congratulations to Simon who has now drawn well clear in the gentlemen’s championship with 3 winners in the last week and leads on 5 wins so far this season! 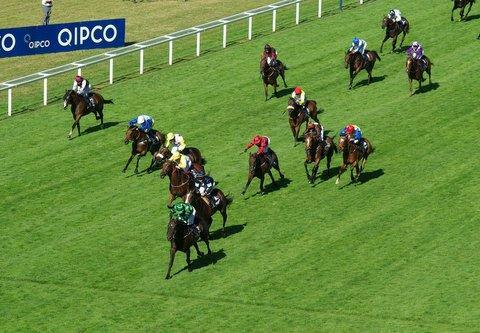 One of the highlights of the ladies Flat calendar, the Longines Handicap at Ascot, saw 19 go to post (although only 18 loaded with Lisa O’Neill having to endure the frustration of Burn The Boats refusing to enter the stalls). 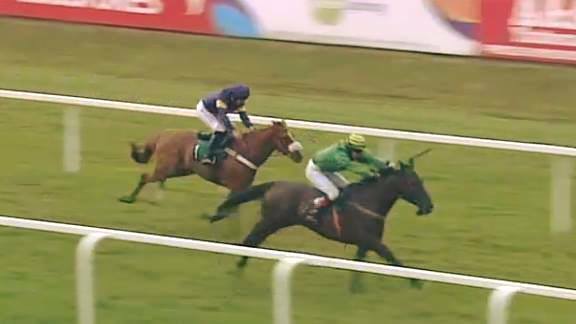 TV pundits had been quick to dismiss HAWKEYETHENOO whilst discussing runners pre-race, the 10 year old not having won a race since the 2012 Steward’s Cup, but they were soon to be proven wrong. The field did not split but raced mainly centre of the course to the far side. Former triple ladies champion Carol Bartley was happy to hold up her horse towards the rear and track the leaders, making steady progress from 2 furlongs out. Joanna Mason was going well on NORMANDY BARRIERE to lead a furlong out, but was denied victory in the final 100 yards with HAWKEYETHENOO running on for Carol and score gamely for boss Jim Goldie by 1 1/4 lengths. 1 1/2 lengths back in 3rd was in-form Emily Easterby on her father’s SAKHEE’S RETURN with Becky Smith a further 1 1/4 lengths 4th. 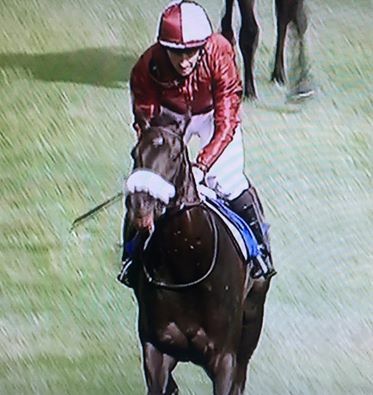 Many congratulations Carol Bartley Jim Goldie and all winning connections on such a special win, made all the more memorable with Carol’s daughter Kayleigh Williams leading up the winning horse! 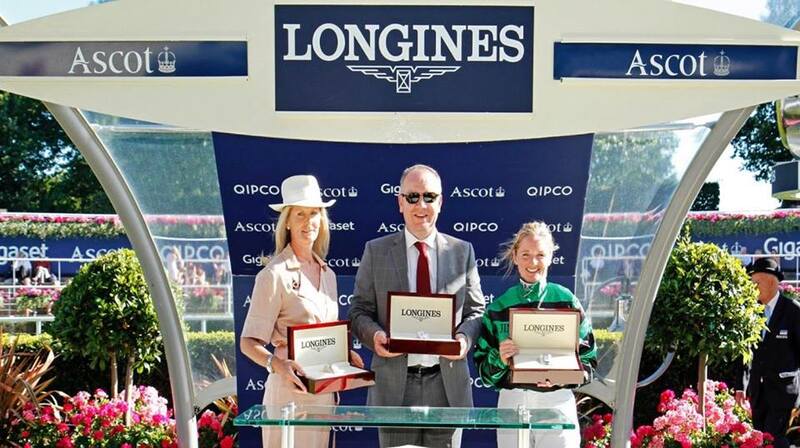 Our grateful thanks go to Longines for their generous sponsorship and supply of such a beautiful watch for the winning lady rider and also to Ascot Racecourse for their support. 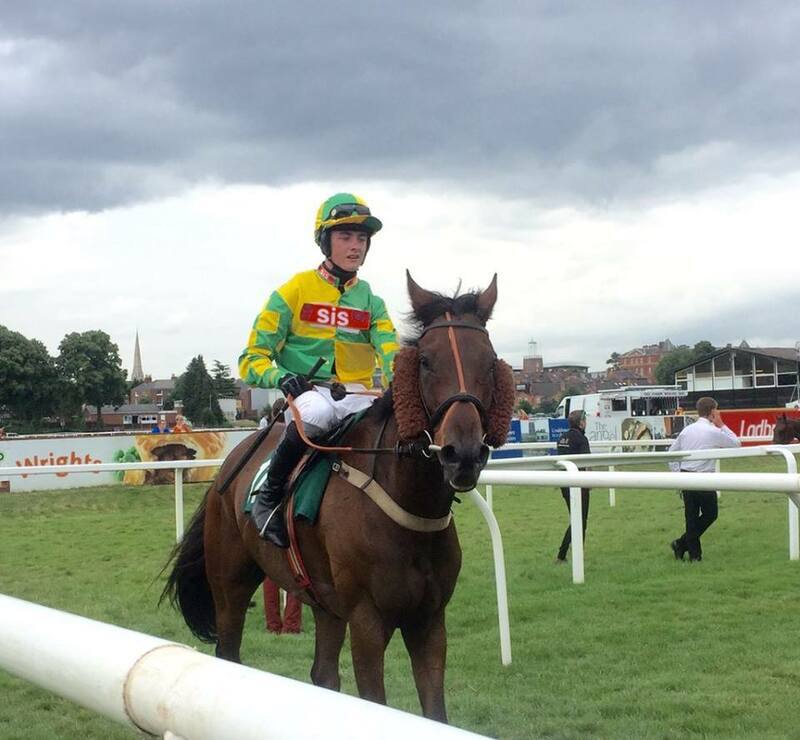 Ladies Day at Uttoxeter on Friday – the perfect setting for a lady jockey to take on the professionals! That is exactly what Becky Smith did, and went on to enjoy a comfortable win opening her account for the jump season when partnering DEBT TO SOCIETY for Richard Ford. Leading the field of 14 from the off, the partnership were headed soon after jumping the 9th but Debt to Society responded to Becky’s urgings and, left in the lead two fences from home with the dramatic departure of GWILL SPAR and Archie Bellamy, Becky drove her horse (not the most straightforward of rides) to the line to win by 3 1/2 lengths. 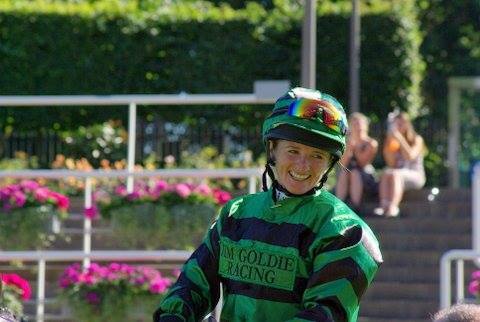 Many congratulations Becky on an excellent ride and a good interview afterwards too with Bob Cooper! 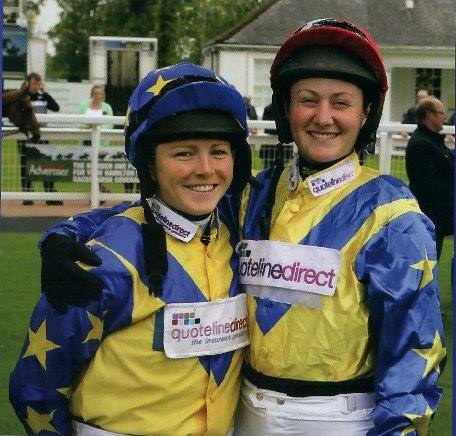 Becky and fellow amateur Catherine Walton’s photo (shown below) features in one of this year’s Scottish Racing publications. 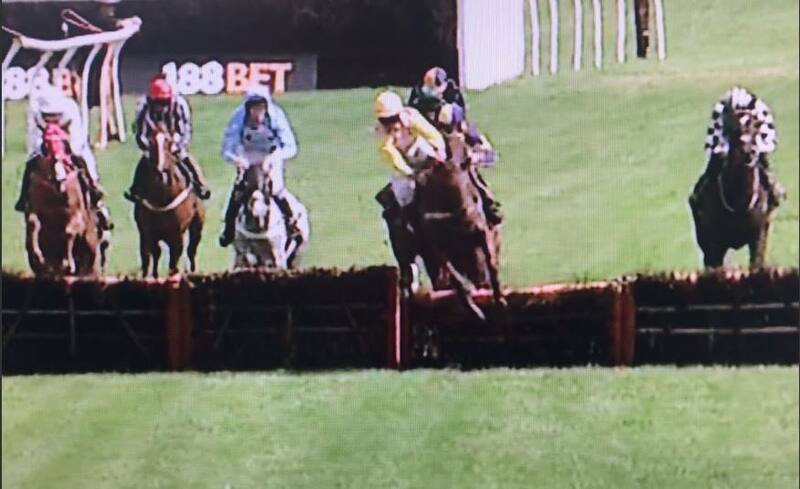 Both ladies ride on the Flat and over jumps and both have ridden winners this season under both codes. 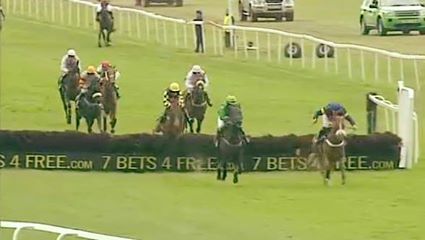 The final race of the evening at Worcester was the 7bets4free.com amateur riders Handicap Hurdle with 11 going to post and it was another West Country based amateur rider who was to prove his worth with a tenaciously ridden race. 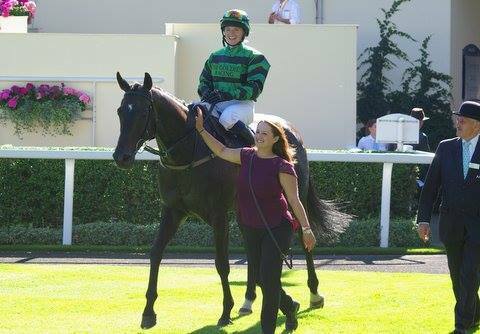 Happy to bide his time on WHO AM I for Debra Hamer, James King tracked leading pair James Nixon on SPORTING MILAN and Page Fuller on I’LLHAVEALOOK as the trio drew away from the rest of the field. The partnership then went clear to lead on the flat and stayed on well to win by just under 2 lengths, with James Nixon 2nd and Page Fuller 3rd. One of 9 individual gentleman jockeys to have ridden a winner each this season, this 2nd win of the season for James now puts him in pole position for the men’s jump championship at this very early stage. 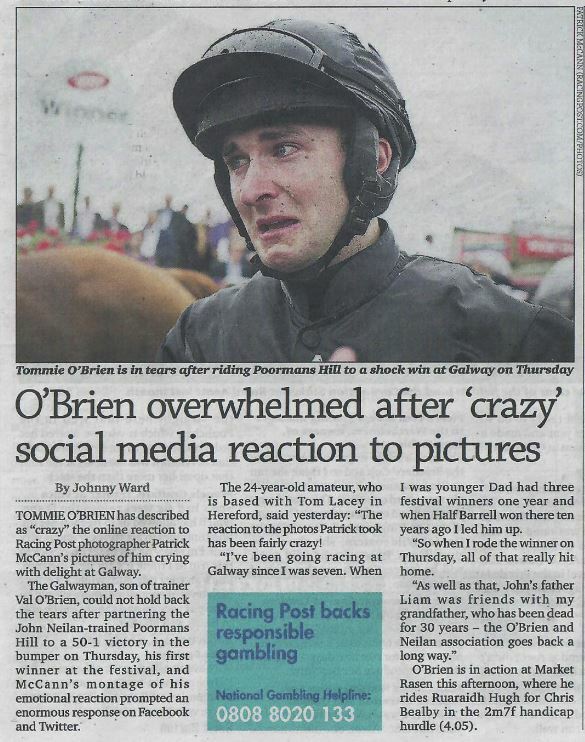 Well done and many congratulations to James and winning connections. 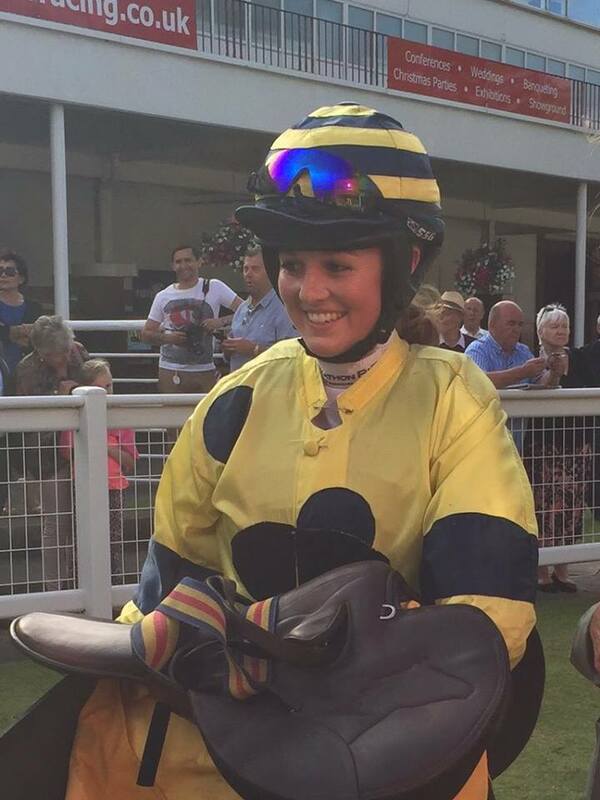 Very many congratulations to Hannah Welch who enjoyed her first success riding under Rules when winning the penultimate race at Worcester last night for Jackie Du Plessis riding against professionals in the 7bets4free.com Handicap Hurdle. Under a great ride from Hannah, 16/1 POLO THE MUMM gradually made headway from the rear around half way through the race, to take up second 3 from home. They went on to join DESERTER and Gavin Sheehan before the last where the partnership battled it out to draw clear as they neared the line and score by 2 lengths. 15 ran. 18 year old Hannah is already a successful point-to-point rider in her own South West area but this was an evening for her to remember. Well done Hannah! 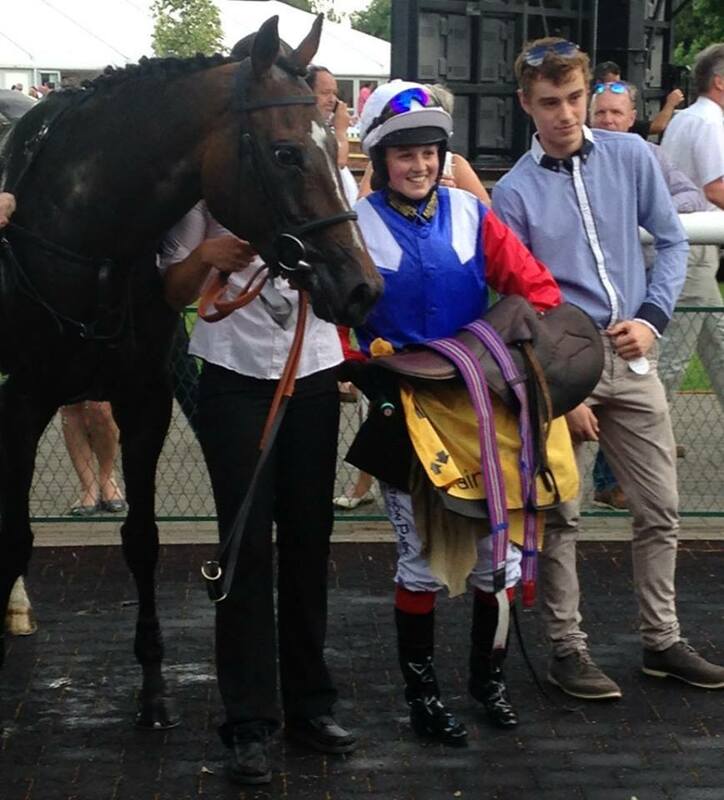 Many congratulations to Emily Easterby who enjoyed success at Leicester Racecourse in the 2nd of the 8 race BETFAIR NOVICE AMATEUR RIDERS SERIES last night run over 7 furlongs. Partnering her father’s WHITE FLAG Emily managed to hold off the strongest of challenges from the stylish Joe Wright and NO REFUND in a thrilling finish, winning by a head, with Jack Andrews 3/4 of a length back in 3rd on CAESER THE GAESER. 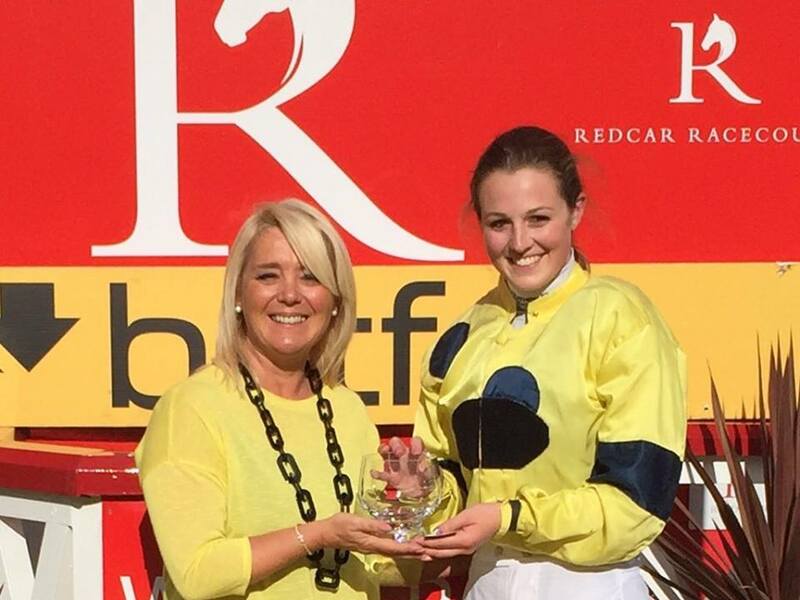 Emily is enjoying a wonderful season, now having won back-to-back Betfair races (Catterick Bridge last week) following her first career success at York a short while ago when winning the Queen Mother’s Cup. Many thanks to Betfair and to Leicester Racecourse for their great support and to Tim Reed for his valuable work as Jockey Coach. 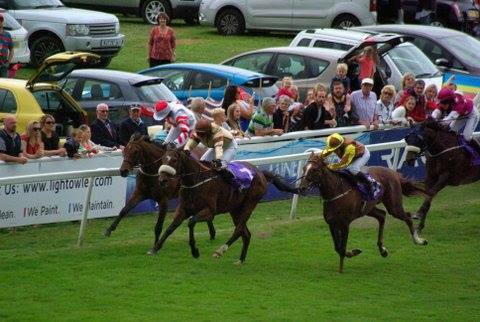 The series now moves on to Redcar for the 3rd race next week on 27th July and there are 25 entries.